This seasonal compendium collects together poems, short stories, and prose extracts by some of the greatest poets and writers in the English language. Like Charles Dickens's ghosts of Christmas Past and Present, they are representative of times old and new--from John Donne's Elizabethan hymn over the baby Jesus to Benjamin Zephaniah's "Talking Turkeys," from Thomas Tusser counting the cost of a Tudor feast to P. G. Wodehouse's wry story about Christmas on a diet. 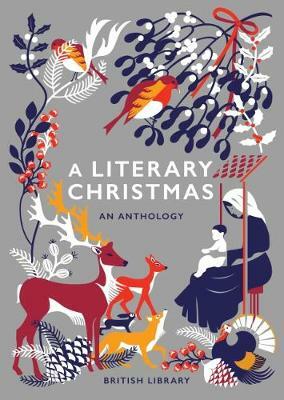 Enjoy a Christmas Day as described by Samuel Pepys, Anthony Trollope, George Eliot, or Nancy Mitford. Venture out into the snow in the company of Jane Austen, Henry James, and Dickens's Mr. Pickwick. Entertain the children with the seasonal tales of Dylan Thomas, Kenneth Grahame, and Oscar Wilde. British Library Publishing produces fascinating and beautiful books related to the Library's uniquely rich collections.